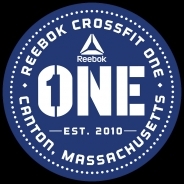 Reebok CrossFit ONE comprises of an all-employee Reebok community. Within our community, we train all walks of personnel, from the CEO to brand directors, from product managers to interns, and all that fall in between. All share a passion for Reebok, and now, CrossFit. In true CrossFit fashion, we adopted a powerful phrase that applies to all our members, “Check your ego and your business card at the door.” Regardless of the job title, at Reebok CrossFit One we are all, quite simply, athletes. We have a strong and passionate coaching staff, made up of like-minded individuals, hailing from an array of athletic and academic backgrounds. Whether it is competing at the CrossFit Games, working on the CrossFit HQ Seminar Staff, or fighting fires, they work hard to create unique perspectives for the members. The Reebok CrossFit One coaching staff shares Coach Glassman’s belief in fitness, and aim to push results through virtuosity in all they do. We are committed to forging a strong community through CrossFit’s methodologies and movements. We aim to empower those that take on the quest of improving their fitness and health. Through community and dedication we believe anything is possible. Reebok CrossFit ONE’s ultimate goal is to have a group of athletes that move well, feel good, smile often, and perform to the upper limits of their capacities every day. If our members leave the gym excited to come back another day, with a little more fitness, and a lot more confidence, we have done our jobs. We are simple in our approach, and relentless in our application.